I don’t have a nightstand, unfortunately. And also currently, I don’t have any physical books laying around my bed area because I’m currently reading an ebook, and I only read one book at a time. I just finished reading Speak by Laurie Halse Anderson today, and it was truly a great and moving book (Check out my review here). Though the last book that I gave 5-stars was Tell Me Three Things by Julie Buxbaum (Check out my review here). But on a general thought I can say that most books that I recently read were all truly great and amazing books! If you read my post about how I discovered my love for reading, you’ll know that I had a “Wattpad Obsession” before. And when publishing local Wattpad stories became a popular trend here in my country, I was beyond thrilled when my favorite books where published! Due to my bookshelf-lessness I just separate my books from the ones I’ve already finished to the ones that I still have to read. But I would definitely love to organize my books according to color though, because it so pleasing to the eyes. Can I just say, Classic books in general? Because I’ve always wanted to get myself on reading Classics but I always put it off because I can’t get myself into them! Like earlier this month, I tried reading Pride and Prejudice but after two chapters, I gave up! And I’m very disappointed with myself, I really need to start reading them especially Pride and Prejudice by Jane Austen and To Kill A Mockingbird by Harper Lee. 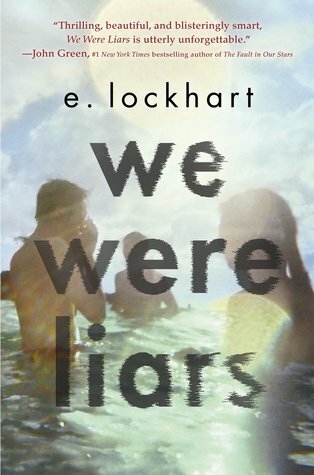 We Were Liars by E. Lockhart, though this book receives mixed reviews I personally know people who loved this book and I felt like I was the only one who didn’t. It was really a disappointing read, and the writing-style didn’t worked for me. I love contemporary books! I love cutesy, fluffy and light books, but I also really like reading heavy and emotional books. I try to read as much YA as I can, I read dystopian, fantasy and mystery books from time to time. I usually don’t get myself involved with New Adult books especially those with topics that I can’t relate to or I don’t find interesting at this point of my life but I’ll definitely be reading them after several years when I’m already older and wiser. OH MY GOSH, what kind of question is this? I’m sorry but I find this very funny because Philippines just had it’s presidential election. 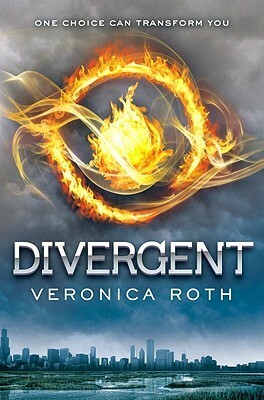 I honestly don’t know what book to answer to this, so I’m just going to say Divergent by Veronica Roth because I think the incoming president belongs to Dauntless. I’ve just started reading Second Chance Summer by Morgan Matson today (so far, so good!) and The Square Root of Summer by Harriet Reuter Hapgood may be my next read but it still depends on my mood. I am tagging YOU and these lovely bloggers to do this tag! GReat answers! I love contemporary books as well, it’s my favorite genre 🙂 And I just reviewed Second Chance summer on my blog today (spoiler-free), and I really LOVED it, I hope you will, too! 😀 I’m so excited to get my hands on The Square Root of Summer, that book sounds fantastic! Yes, so far it’s really a great read! I can feel it, I’m only a chapters in but there were already times where I felt like crying. Welcome! I know right, it was like the whole book was just about that big reveal at the end. That’s such a fun tag, I love seeing it around. You need to give Pride and Prejudice a second chance, you won’t regret it. It takes a few chapters to get into it, really, but once you do, you’ll devour it, especially if you’re a fan of slow burn romance. Sorry to hear you didn’t like We Were Liars, I loved it but I totally get that it wasn’t for everyone. I feel you with classics too. I’m trying to get into them, but they can be quite daunting! Welcome! Yup, maybe it is just isn’t for everyone glad to know you loved it though. Ughhh, yes those Classics… hope that we’ll enjoy them in the near future. I guess so, you should really possess a variety of different colored book covers, which I personally lack. I don’t know why but I have so many blue books lol. I also plan to read The Square Root of Summer soon! I’m in love with all the Adventure Time gifs. I freaking love adventure time! Won’t lie, I’m super jealous! Thank you so much for the nomination, I love this tag! I have a hard time with classics too. As a non-native, I find them extremely challenging. It takes me forever to understand the words sometimes, and so I can’t connect to the characters or the story. I did like Jane Eyre and Rebecca.